Particularly conditioned patterns that you experience in your life! Do you find the same patterns repeating themselves, these maybe expressed in relationships by way of meeting someone and your journey with them turning out similar to past experiences. Or professionally taking a job or position, which when we start, we are filled with excitement and joy, but then ends up the same as previous jobs, boring and mundane. Are these patterns obvious? Or subtle? 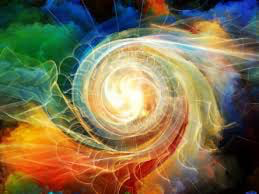 I am being shown that we all experiene patterns, some are positive and uplifting experiences that allow for expansion, and others are draining and constricting which keeps us small.. All patterns are circular and contain fractal fragments. Fractal fragments are energy in motion (emotions), we experiencing them as feelings. So to check out a pattern we can see if it’s a positive or negative one by seeing how that experiences makes us feel? Is is uplifting and love based, or draining and fear based. Our aim in this reality is to expand, to enter a state of expansion which gives us the opportunity to remember what we had once forgotten. This remembering is our awakening, is our journey to oneness, returning us to our true self. So by way of patterns in our life, our goal is to move towards the love based patterns and away from the fear ones. On identifying a fear based pattern, for example, if you experience the emotion of unworthiness. By observing and unpicking the threads of the fractal patterns, witnessing how they sit together and are expressed in your life. You can gain insight into the pattern cycle which enables you to identify the journey that pattern takes, this knowledge allows changes to be made. In the example of the feeling of self worth, you will probably observe with awareness that experiences are attracted to you vibrationally, that continue to feed the fear vibration and show up leaving you with the feeling of unworthiness, not good enough, unable to achieve. At any point in the experience you are given the opportunity to change the outcome. The gift of free will, means you are the writers of your own life script, director of your own movie. We are powerful creators able to change these fractal patterns whenever we choose. But more often than not we travel our journey unaware of this opportunity and we continue the fear based cycle indefinitely. So how do we change these patterns ? By identifying the emotion, so again using the example of unworthiness, We can walk our path with awareness, observing ourselves with unconditional acceptance and unconditional love. And when we find ourselves at a point of action, needing to respond to an experience, pause.... connect through the breathe with your heart centre, and set a powerful affirmation intention. This will result in you moving forward with conscious action, and you won’t be reacting in an automated way, by repeating the same fractal patterns as previously done. You will actually break the fractal pattern, and you will be in the position then to start a new pattern, favoured more with love based frequencies. An example would be, imagine you are about to sit an exam or test, past experience has shown us that we don’t do very well in these situations, so we carry the fractal pattern of I’m not clever enough to achieve success (unworthiness). In that moment, pause, breathe and centre and then repeat these affirmations ‘I am successful, I am clever I will achieve’. Setting your intention to I am clever enough to achieve success. At this point the fractal pattern will change and you will be set on a course for creating a love based pattern. Awareness will continue to be needed to keep the lower mental mind from creeping in and causing chaos, but when it does just use your affirmations to keep you on course for success. By creating the fractal patterns that most favour your desired outcome, on a quantum level you are creating a vibrational frequencies which will attract or entrain the same frequencies. Therefore it will be experienced in your reality. This is how you change your life patterns. Changing your life experience. Wishing you all much love and blessings on your sacred journey. Reiki Mind, Body and Spirit with Ali Gowdridge. Based near Derby in England, UK.